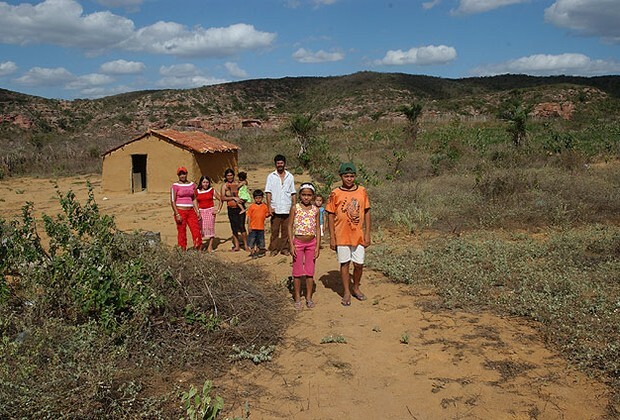 Over the past five years anthropologist Walquiria Domingues Leão Rêgo has witnessed a change in behavior in the poorest, and probably most sexist, areas of Brazil. The money provided by the federal income subsidy program Bolsa Família has brought the power of choice to women. They now decide everything from the grocery list to whether to file for divorce. A revolution is underway. Silent and slow—52 years after the creation of the birth control pill—feminism begins to take shape in the poorest, and possibly most chauvinistic, corners of Brazil. The interior of Piauí, the coast of Alagoas, the Jequitinhonha Valley in Minas Gerais, the interior of Maranhão and the outskirts of São Luís are this movement’s setting, described by anthropologist Walquiria Domingues Leão Rêgo, of the State University of Campinas (Unicamp). Over the past five years, Walquiria followed the annual changes in the lives of over a hundred women, all beneficiaries of Bolsa Família. She visited the most isolated areas, relying on her own resources, for an unusual exercise: to hear from these women how their lives had (or had not) changed after the creation of the program. Walquiria’s research will be published in a book, to be released later this year, but we will advance some of her conclusions. The areas Walquiria visited are those where families at times cannot get any income over a whole month. Ultimately, they live off a barter system. With a labor market too small for men, there rests no hope of employment opportunity for women. There is poor access to education and health. Families tend to have many children. The social structure is patriarchal and religious. The woman is always under the yoke of her father, her husband or her pastor. “Many of these women went through the humiliating experience of being literally forced to ‘hunt for food,’” says Walquiria. “It’s people who live without the right to have rights.” Walquiria wanted to know if Bolsa Família had either become a welfare crutch or rescued some sense of citizenship for these people. “There is more freedom in money,” says Edineide, one of Walquiria’s interviewees and a resident of Pasmadinho in Jequitinhonha Valley. Women make up more than 90% of the titleholders of Bolsa Família; they are the ones who withdraw the money from the cash machine on a monthly basis. Edineide translates the meaning of this government decision of giving the benefit card to the woman: “When the husband goes shopping, he buys what he wants. And if I go, I buy what I want.” They started buying yogurt for children and to entitle themselves to vanity. Walquiria witnessed women buying lipstick for themselves for the first time in their lives. Finally, they had the power of choice. And that changes many things. DOES MONEY LEAD TO DIVORCE AND A DROP IN THE NUMBER OF CHILDREN? Despite husbands’ harassments, none of the women interviewed by Walquiria admitted to yielding to their appeals and handing over the Bolsa Família money. “This is my money, President Lula gave it to me to take care of my children and grandchildren. Why am I going to give it to my husband now? I won’t!” said Maria das Mercês Pinheiro Dias, 60, mother of six, a resident of São Luís, in an interview in 2009. Walquiria also reports that the number of women who seek contraception has increased. They began to feel more comfortable making decisions about their bodies and their lives. It is clear that changes are still subtle. No one visiting these areas will find women burning bras and quoting Betty Friedan. But they are beginning to break with a perverse dynamic, first described in 1911 by English philosopher John Stuart Mill. According to Mill, women are trained since childhood not only to serve men, husbands and fathers, but to want to serve them. It seems that the poorest women of Brazil are finding they can want more than just that.